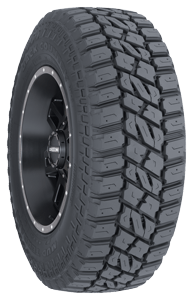 The Back Country MT is a heavy-duty mud terrain tire for light truck and commercial drivers who work and play hard. Made for durability, it delivers exceptional tread life. The innovative construction includes a tough, three-ply sidewall that improves on two-ply tires for added cut and puncture resistance. An aggressive tread design brings confident grip whatever the surface-- mud, snow, rock or pavement. 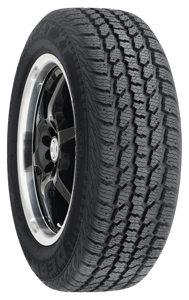 This is a workhorse tire that takes the most punishing driving conditions in stride. 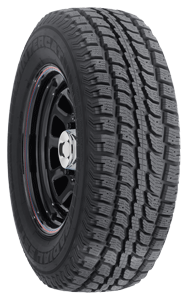 The Back Country QS-3 Touring HT is the first all-season, hybrid highway tire for light trucks, SUVs and crossovers. It merges the ride qualities of a highway tire with highly reliable traction in most weather conditions, on and off blacktop. Special tread features dampen noise while delivering smooth handling. Designed for durability, the Back Country QS-3 Touring HT comes with an outstanding mileage warranty. This tire is in a class all its own, providing both a comfortable daily commute and the freedom to get off-road come the weekend. 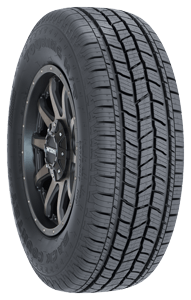 The Back Country SQ-4 is an all terrain tire for light trucks and SUVs that delivers both smooth, quiet highway driving and off-road performance. It’s built with the latest tire construction and compound technology, for even tread wear, aggressive traction, long tire life, and all season performance. The Back Country is built to travel the West, wherever and whenever you need to go. The Road Control NW-3 is an all-season passenger car tire that gets the job done on the daily commute—and goes the distance for your money. The innovative tread design dampens noise while delivering impressive wet and dry traction. 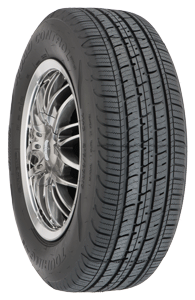 The Road Control offers a stable, quiet ride and all-weather confidence in one hardworking, durable touring tire. 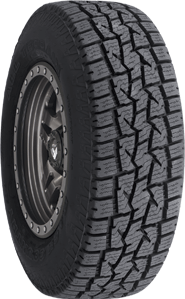 The Wintercat SST is one of our best SUV and light truck winter tires. Look to this tire for excellent traction on snow, ice and anything else Mother Nature has in store.